I made another app for Android. It’s called Elementary and it’s a periodic table viewer and element reference application. 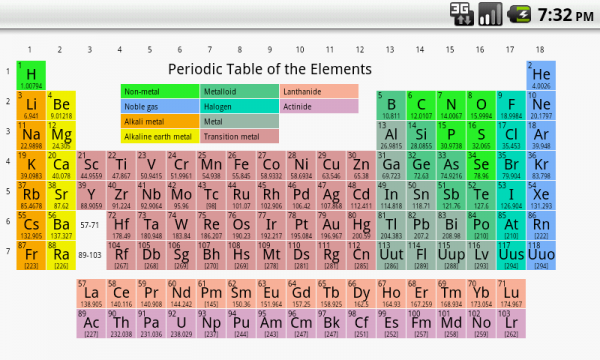 You can zoom and pan the periodic table, and you can see more details about an element by tapping on its block. The details page also has a link to Wikipedia and a video from Periodic Table of Videos. I hope it is found useful by someone. I made this because I am interested in chemistry and I thought it would be a fun challenge to render the periodic table, and it was. I also thought it would be handy to have easy access to Periodic Videos, so you can show people why chemistry is awesome. Since my previous post, I have released the coffee and wine versions of Flavordex, but more importantly I have updated the app to version 1.1. The most significant change is the ability to post reviews online and share them on various social networks. You can see these reviews at flavordex.com. I think this feature makes the app far more useful and helps promote the app at the same time. Over the past several months I have been working on a project called Flavordex, which I released Friday. Flavordex is an Android app for beer (and soon wine, whiskey, coffee, tea, and more) tasting. Its most significant feature is the radar chart for visualizing the elements of a product’s flavors. Since this is my first attempt at mobile app development, I want to share the story behind it. It all started back in September ’11 when I received an electronic letter from Dirty ‘Space Jang’ Dan a.k.a. Robert Watters with some crazy idea about an app. Apparently people taste things and some of them like to take notes, so there should be an app for that. It sounded like a good excuse to get into mobile app development. The first thing I did was to buy a good book on Java programming, since that’s what Android apps are written in, and quickly learned the language. As soon as I had a pretty good understanding, I downloaded the Android SDK and started learning the framework. Then I spent the last several months writing and rewriting the app with space input from RobDan. 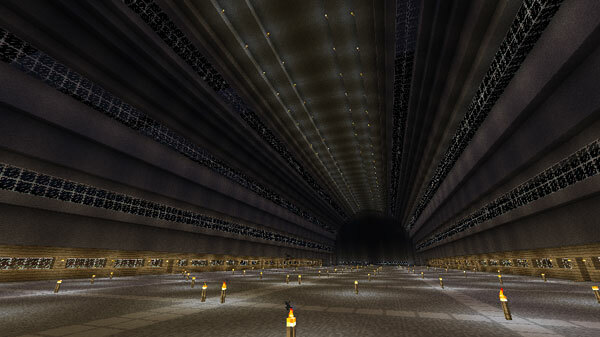 Good Deals on Custom Naval Vessels! 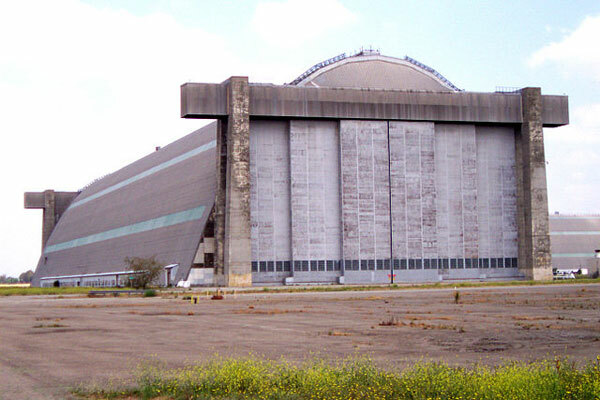 MetalPromExport is one of the largest leading companies in the Shipbuilding Industry. Through constant attention to innovation and investment in its facilities it aims to increase productivity and quality in line with customer’s requirements. During of latest years the company has enlarged its business both in domestic and international arenas with turn-key business solutions. MetalPromExport builds a wide range of vessels including, naval vessels, tailor-made oil/chemical/stainless steel tankers, container vessels, tug boats, arctic & pelagic trawlers and research vessels, offshore vessels and private luxury motor boats. MetalPromExport aim is to play a major role in the development of the domestic and international arenas of Shipbuilding Industry. At this moment our shipyard has Oil/Chemical Tankers from 3.000 DWT till 12.000 DWT with different level of readiness which can be floated within the few months. We are looking forward to your response to our E-mail in order to take up the matter further. All our contact details are signed herewith & please do not hesitate to contact us for any further clarifications in the matter. If you ready to discuss our further cooperation that please connect with our representative Mr. Evgeny which will arrive in India from 21th till 27th of January 2012. 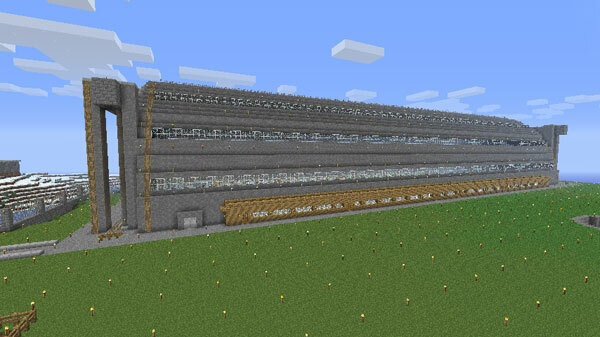 This is a half-scale model I’ve built in Minecraft of a blimp hangar located at Marine Corps Air Station Tustin. 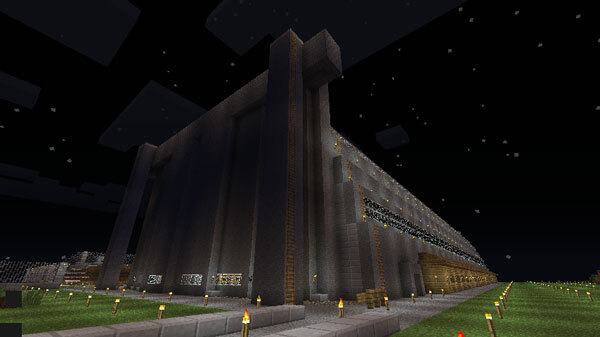 This is a 1:1 scale model of the United States Capitol building built by hand on my Survival MP server by Alizée Fan. I’ve been inundated with requests to explain what “Noty” means. Well, I have finally been authorized to release the following information, which will hopefully satisfy the public by explaining who or what is Noty. Noty is the culmination of decades of scientific research and billions of dollars in funding. The greatest minds in the world have been working in secret since 1973 to come up with the breakthrough technologies behind the Noty device. Noty stands for Notation Orifice Transitional Yacht. However, despite common misconception, Noty is not actually a boat. While it is incapable if floatation on water, it does have the ability to store information much like a sheet of paper which can be placed on a boat, hence the “yacht” in the name. Noty takes advantage of the patented process of “making notes.” Many of the details of this process are highly classified, but the process involves quoting parts of text and/or supplementing text with original commentary relating to said text. The Noty device can facilitate this and more. Disclaimer: The above statements are not guaranteed to be factual in nature.